Grosvenor Church is a multi-site Church, currently meeting in three locations. We love welcoming new visitors! It’ll be great to see you soon! 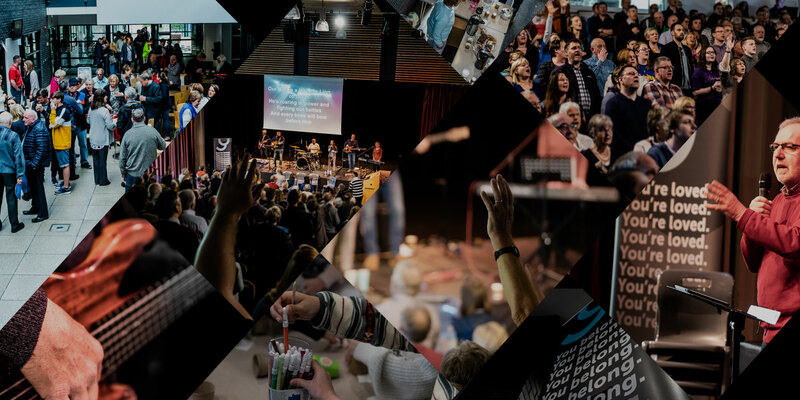 The Grosvenor congregations dotted across North Devon have a different heart and vision for Church. We are a group of people from all walks of life determined to be a Church without walls. Which is why you can ‘come as you are’. Our aim is for nobody to stand alone, therefore we work hard to ensure a transparent, loving, genuine community. We want to genuinely care for and build positive, vibrant neighbourhoods, which is the reason we are launching new congregations across the region, to meet the needs of North Devon communities. In one God; the Father, Son and Holy Spirit. The Bible is inspired by God and entirely trustworthy. We believe in the divine inspiration and supreme authority of the Old and New Testament Scriptures, which are the written Word of God-fully trustworthy for faith and conduct. That Jesus’ death is the only basis for salvation. The Son of God (Jesus) was born to become a sacrifice for mankind’s sin and His death is the only basis for salvation from the guilt, power and eternal consequences of sin. In the work of the Holy Spirit in saving us and changing us. The Holy Spirit shows us the truth, brings about new birth, comes to dwell in us and makes us holy (like Jesus). All followers of Jesus form the worldwide church. In His command to proclaim the Gospel throughout the world. That Jesus Christ will return visibly to earth as Lord in power and glory. TO SEE PEOPLE OF NORTH DEVON KNOW AND EXPERIENCE THE LOVE OF JESUS.